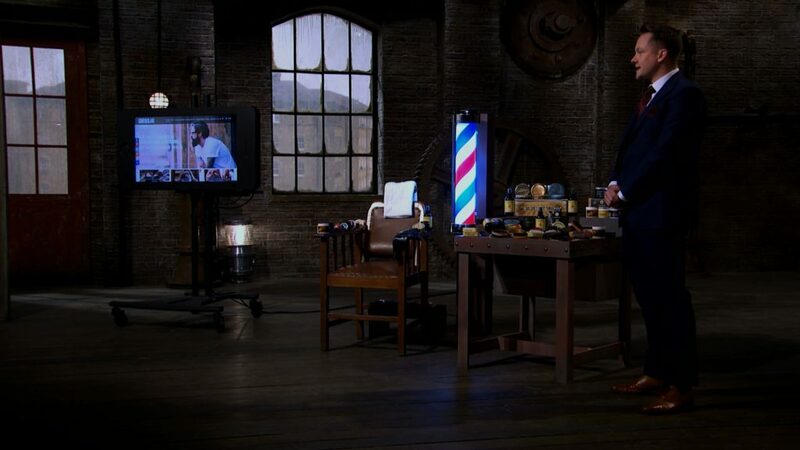 Hello, and welcome to this week’s Dragons’ Den Blog. The powers that be have once again let me loose on an episode and I cannot wait to get to grIPs with this one. We start with a well-trimmed pitch by Kevin, a teacher by day and a start-up by night. Kevin’s business is in online retail for men’s grooming products, including wet grooming, beard and moustache products and pomades (I had to look this up on a well-known online searching site. It’s basically a slick hair styling product). So what Intellectual Property (IP) is key to Kevin’s online retail business? Let’s go through it with a fine moustache comb. Both Kevin’s website and brand were mentioned in the episode, both of which rely on IP for protection. Although not all Touker had to say was promising for Kevin; he did praise him on the neat website (what a relief for Kevin, the IT teacher!). Often copyright protects most of the content of a website, from the coding behind it to the images and text on it and even its specific layout. So what should our budding website designers be wary of? Who owns it? Copyright is owned by the creator as a standard rule. The only times this will change is if you’re employed to do such work or if you have a contract to the contrary. Bear in mind that sub-contractors are not considered to be employed as such. Do they have the right to use it? You can’t just nab a photo or image that you like off the World Wide Web. If you’re using other people’s work then you will need permission to use it. Now that we’ve had a snip-pet of copyright what about the brand? Deborah asks about Kevin’s future business plans. What would happen if the market swings against him? Kevin felt his core brand, ‘Comb and Blade’, was vital; if/when the market changes Kevin has every intention of moving his brand with it. For businesses, their core brand can be the most valuable asset they have. Protecting this by registering a trade mark can help to protect that brand and ensure continuity in business. Unfortunately for Kevin, he didn’t quite make the cut. We wish him all the best in his business endeavours; but also in his teaching career of course! Which reminds me; this is the perfect link to highlight the IPO’s range of education resources. Last up, a winner! Sinead and Adam managed to cosy up to Touker Suleyman and get an investment. 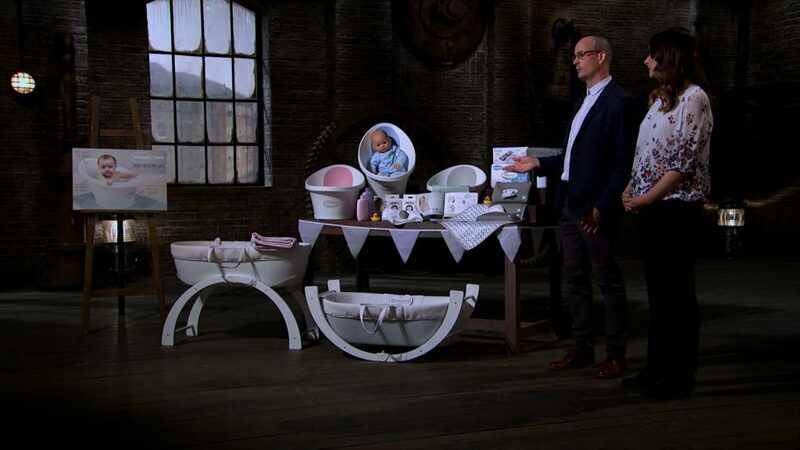 From modernised Moses baskets to baby baths Sinead and Adam create a range of modernised designer baby products. However, there were a few points that came up for them to look at. Contrary to Kevin’s concept of protecting his core brand, Comb and Blade. Deborah showed some concern that Shnuggle had too many sub brands. You can protect a company name and a product name as registered trade marks. However these would all be separate marks, so it is important to consider what you want before you file. By doing a quick search on the UK database we find out that Adam and Sinead have Shnuggle, Pebbly and BumGo registered and Dreami currently filed as European marks. Thanks to Sarah Willingham we can look at patents. You’d be hard pressed to patent a plastic Moses basket. This is all to do with ‘inventive step’. Essentially, if the difference between your product and the next nearest thing is ‘obvious’ then you can’t patent it. That being said, obviousness is a difficult point to argue and is one of the main reasons why you should look at hiring a patent attorney to help with an application. You can get hold of a patent attorney through CIPA. Phew, there was a lot in this episode. As we’ve discussed Trade Marks, Copyright and Patents I feel aggrieved that we’ve not gone into designs. So to do them justice, why not find out more by completing the designs module of our free online tool IP Equip? So could a design right have been used to protect the Shnuggle(RTM) basket? Hi Ben. A very good question! To clarify; design right generally refers to the unregistered version of Design protection. Design right can protect the shape and configuration of a product. Though you may have meant registered design? Registered design covers 2D designs in addition to shape and configuration. A difference between the two rights is that registered rights can last up to 25 years, whereas unregistered will last 10 - 15 years in the UK (and 3 years in Europe). The short answer is, yes, potentially it could be. However there is a little more to it than this. Try the Designs section of our IP Equip (http://www.ipo.gov.uk/blogs/equip/ ) tool to find out more.